LILA spoke of the surprisingly emotional journey in actually making the 3D mini me in Episode 2. Listen in Episode 3 as she tells of how she actually did and her emotions at the Shapify showroom. LILA also interviews Mike Chin, manager of the Shapify store in Palo Alto, CA. Mike explains the 3D scanning process, his favorite client, and how anyone can be printed in 3D. 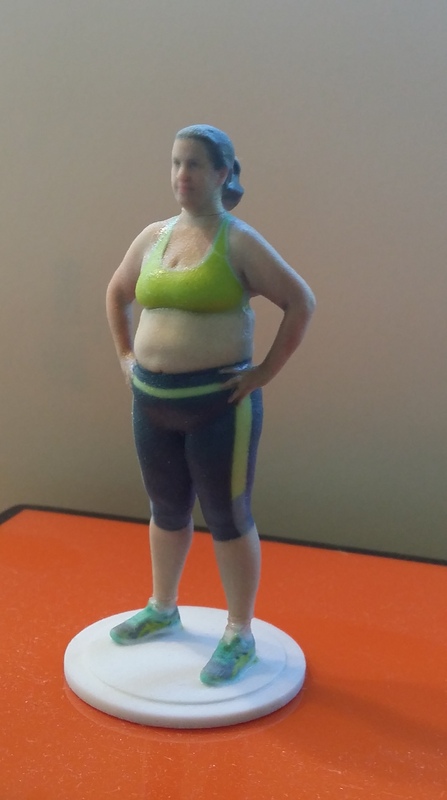 LILA in her original form printed in 3D. You too should try this! You can go to the Shapify website to find a location near you. You can also use Xbox at home. We are working with Shapify to get a discount coupon so you can be a 3D LILA too! Next week: Fitness and what it means to be an athlete. We’d love your feedback, so leave a comment, tweet about us @3DLILA, or like us our FaceBook page.